tim and conner shabiki art x. . Wallpaper and background images in the Young Justice club tagged: young justice superboy robin tumblr. That looks a little.. *facepalm* why do I have a dirty mind? Well looks like they're having a great time! why does every one thing they are gay i mean thy both have girl girlfriends like what the hell !!! 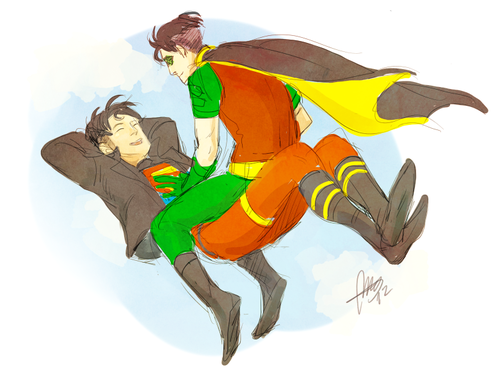 Haha wow i'm not calling them gay, just posting a harmless fanart. yeah i'm sorry guys. It's just me. I like this fan art but it looks like they are floating in mid air.